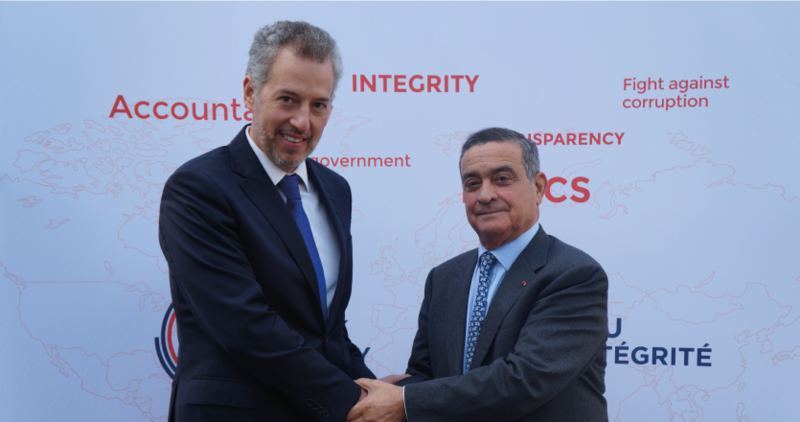 The National Institute for Transparency, Access to Information and Personal Data Protection (Mexico) and the High Authority for transparency in public life (France) were elected respectively to the Presidency and the Vice-Presidency of the Network for Integrity by their pairs on 9 december 2016, for a two years term. Recent events test our certainties. We are witnessing citizens’ deep dissatisfaction with democracy and, at the same time, a request to strengthen it. A few years ago, during the Arab Spring, thousands of people were demonstrating in the streets demanding an end to authoritarianism. However, the effects of these manifestations are contradictory. 2016 gave us a lot of thought, both in Europe and in America: the election of Donald Trump as President of the United States, Brexit, difficulty of forming a ruling coalition in Spain and growing abstentions in elections, particularly in England and Nicaragua. This year was also the year of “Yes” to peace with the FARCS in Colombia. In addition to these events, some trends are worsening, such as climate change and increasing inequality. Each of these events affects individuals, people who turn to the state in search of not only physical security but also security of a different nature, such as that a father who wishes to be certain that his daughter would have the opportunity to access the university, such as that a mother who wants the insurance of having drinking water every day or a family that wants to be certain that the state will provide her with quality health services. These are concrete demands, real people with whom we get along with each day. And I would like to emphasize here that these requests have precise recipients, with a surname and forename, as we say in Mexico. The decisions and actions of governors, authorities and officials can respond to these requests. Therefore, today we need two democratic revolutions: one – political and the other – ethical. The democratic revolution must be political because today, it is not enough to have access to power through transparent elections, there must be rules and tools in place and space for people to control the exercise of power. On the other hand, the revolution must also be ethical, because we, as governors, authorities and civil servants, must always exercise power according to the “ethics of responsibility”. In other words, a code of conduct that urges us to respond to the needs of the population and anchors our legitimacy on a daily basis by the results of our public policies. We must bear in mind that our actions and omissions have implications for the overall functioning of society and the daily lives of people in our municipalities and states. Today, a democratic, political and ethical revolution is needed to redefine in everyday practice the notion of the state and the services it provides. In short, the way we do our work must allow the people to develop another way of thinking about the state, another way of living democracy, another way of seeing one’s own country and, above all, imagine a safe future. I do not speak about an abstraction nor call for an unsuccessful revolution. The right to public information, transparency, accountability, citizen participation, ethics and integrity are our tools. Our goal is to improve people’s daily lives through our daily actions. It is not an abstraction or an unsuccessful revolution. We have already implemented actions that we must reform, strengthen and increase. For example, the United Nations, the OAS, the European Union and the OECD have built legal instruments at the international level to guide the definition of public policies aimed at revising these management systems and promoting public ethics. The one I know best is that of the OECD. This institution has twelve principles for its members to promote the integrity of civil servants and to build structures that define, control and improve their behavior. They are intended to promote values through a code of conduct, raising awareness of civil servants and training them, alongside legal and institutional frameworks that enhance transparency and the fight against corruption. But isolated efforts will not be enough. That is why I welcome the launch of this network of institutions for transparency, ethics and integrity of public officials, which can become a platform for collaboration to achieve transparency, ethics and integrity. There is no time to lose: Let us accept the call for the launch of this network. On December 9, 2016, 14 institutions launched the Network for Integrity. They have all come to Paris from South Korea, Ivory Coast, Senegal, Georgia, Ukraine, Moldova, Romania, Latvia, Croatia, Greece, Italy, Peru and Mexico. Like the High Authority for the Transparency of Public Life, they dedicate their resources and energy to the promotion of transparency, ethics and integrity and the fight against corruption. This date was eminently symbolic, as the world celebrated the International Anti-Corruption Day, a phenomenon that is still pervasive and costs billions of dollars every year. All these resources are diverted from their primary utility and deprive citizens of the services they could claim. This injustice creates major distortions and a growing distrust of citizens towards their institutions and their representatives. Beyond the exorbitant cost and its economic and social impacts, corruption affects all actors in public life, be it public officials, elected or unelected, or ordinary citizens. First of all, it is transparency. It can take many forms. Firstly, there is transparency of the resources of public actors, such as their open asset declarations, as disclosed in France or in Ukraine. It also takes the form of the decision-making transparency initiatives, particularly with the increasing measures in Slovenia, Canada, France and Brazil for public lobbying registers and enabling citizens to better understand its impact on the legislative process. Finally, there are mechanisms for the transparency of budgetary resources and political financing. Another vector of this struggle is the promotion of a culture of integrity. The 14 member institutions of the Network for Integrity are committed to it. Promoting and strengthening integrity is essential to restoring the citizens’ confidence in public officials. This requires effort, learning, and daily anchoring through awareness-raising, education and training, prevention, counseling and dissemination of standards, and ultimately sanctioning. But beyond the implementation of these missions within each of our countries, corruption, which knows no borders, makes it absolutely necessary to connect the institutions that are the actors of change in their countries. The fight against corruption and the struggle for a more transparent and open democracy are complex and global challenges that no single institution can claim to lead alone and to which none of us can find the solution alone. We need to exchange and share in order to strengthen our institutions, methods and knowledge of the phenomenon through the work, mechanisms, experience and research of each other. We are now engaged in the Network for Integrity to fight together and stronger against this scourge. This Network should allow its members to quickly exchange, adapt and adopt practices, new techniques and skills, and to implement new actions nationally and internationally, in order to consolidate their facilities. Let us also pledge that this instrument will allow its members to express a stronger voice or to share a common point of view with international organizations and civil society to anchor a culture of integrity at all levels of public life.